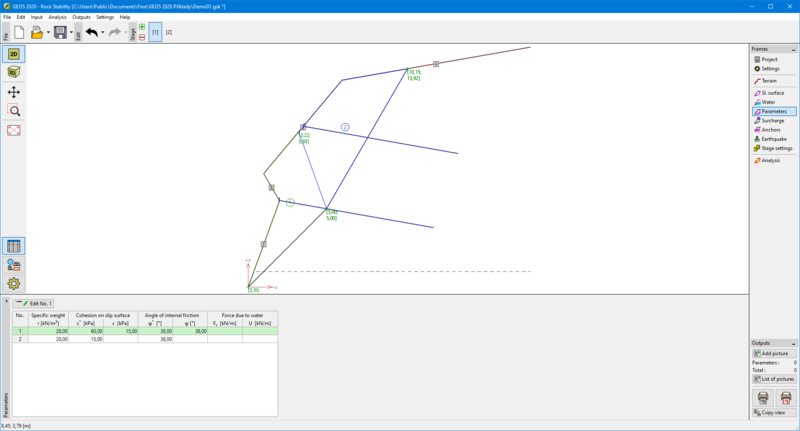 The frame "Parameters" contains a table with a list of blocks, which are created by entering a polygonal slip surface. Parameters of individual blocks are edited in the "Edit block" dialog window. Blocks can also be edited on desktop with the help of active objects. The Mohr-Coulomb strength parameters on a slip surface and in the joints separating individual blocks including the unit weight of a rock are specified here. This window also serves to introduce forces due to water in rock blocks. 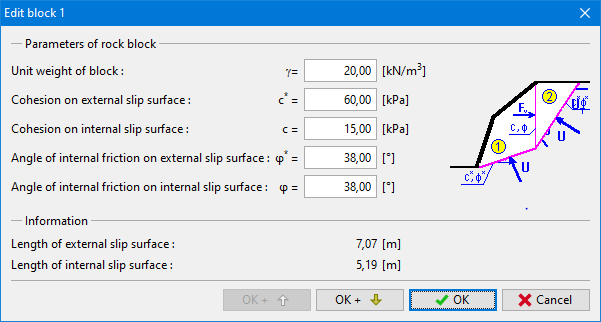 General assumptions for the calculation of polygonal slip surface are listed here.